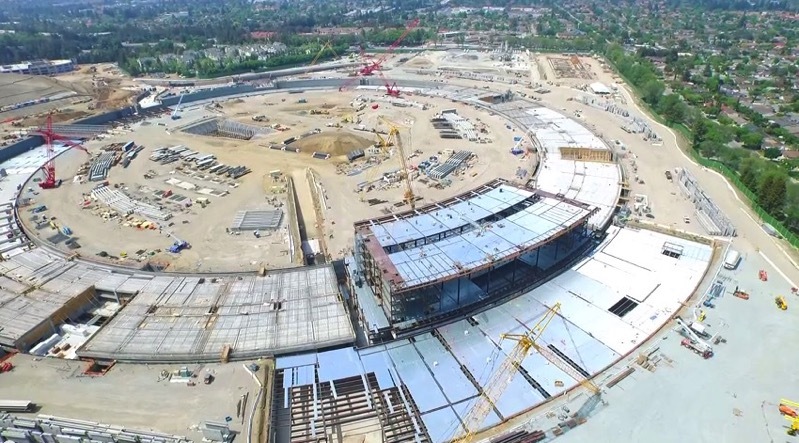 YouTube user jmcminn has uploaded a new video shot today of Apple Campus 2 and its construction update. The video, shot by an aerial drone that reached a maximum altitude of 396 feet, shows off one of the first buildings being erected. A DJI Inspire 1 quadcopter was used to film the video, shot at 1080p at 60 FPS. The drone maintained below FAA airplane no-fly zones by remaining under 400 feet.